I wish all Kisii County residents, in diaspora and all Kenyans blessed holidays, a merry Christmas and a prosperous new year. Let us remember the less fortunate in our festive activities. 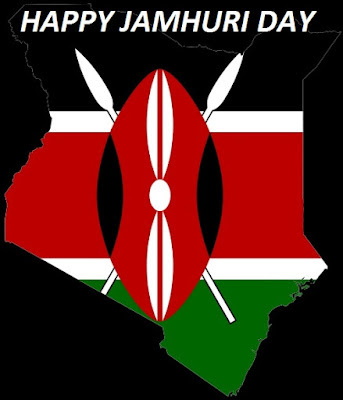 I wish you all happy Jamhuri Day celebrations. God Bless Kisii County. Jamhuri Day is a significant day in our national calendar that reminds us of the time in 1964 when Kenya attained her full independence from colonial rule. Today is not just a day for remembering the day our dear republic was born; it is also a day for paying tribute to the Founding Fathers and the gallant men and women who toiled to give freedom and nationhood to this land of our birth. hapi jamuhuri to all kenyans. We thank the Almighty God for making us see this beautiful day. Happy Jamuhuri day to all Kenyans! Enjoy the celebrations and appreciate what your ancestors did to achieve self-determination, self-governance, etc. be safe... eg, don't drink and drive! Harambee! Jamhuri Day is celebrated on 12 December. 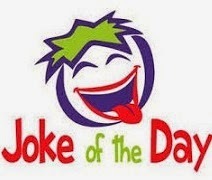 If 12 December falls on a Sunday, the following Monday will be a holiday. It is Kenya's National Day. Jamhuri is Swahili for Republic and as such Jamhuri Day is also known as Republic Day or Independence Day. It as a public holiday to mark two events. It celebrates Kenya becoming a republic on 12 December 1964, and also marks Kenya's independence from the United Kingdom a year earlier on 12 December 1963. The first colonists from Europe to have a presence in Kenya were German, but in 1890, the region came under control of the Imperial British East Africa Company, and Kenya was part of the British East Africa protectorate until it became a British crown colony in 1920. Disputes over land were common, leading to the Mau Mau rebellion in 1952, which effectively put Kenya into a state of emergency for the next seven years. The first direct elections took place in 1957, with the Kenya African National Union led by Jomo Kenyatta forming the first government. Kenya gained its independence on 12 December 1963, and was admitted into the Commonwealth as a republic exactly one year later, with Jomo Kenyatta as president. 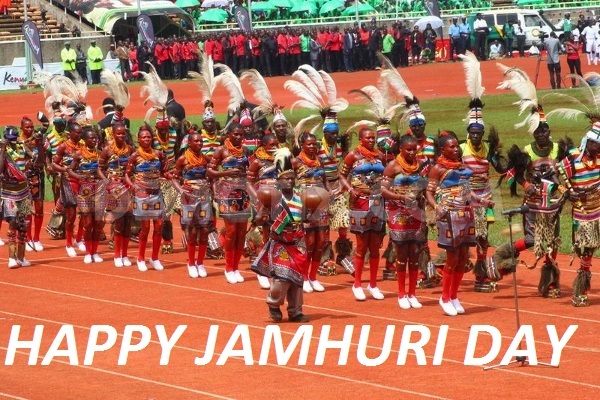 Jamhuri Day is one of Kenya's most important holidays due to its historical significance. The day is celebrated with many events such as feasts, political speeches and parades, all of which celebrate the country's cultural heritage. Due to its position in the calendar, Jamhuri Day is also seen as the start of the Christmas period, and the start of the Christmas shopping period.